Camper Van Beethoven On World Cafe : World Cafe The band's first album in nine years, La Costa Perdida, explores its California roots and midlife nostalgia. After a nine-year hiatus, the venerable rock band Camper Van Beethoven has returned with its eighth studio album, La Costa Perdida. Thematically, the record revolves around midlife nostalgia and the group's California roots. Core members David Lowery, Jonathan Segel and Greg Lischer recruited Michael Urbano and Frank Funaro, both known for their work in Lowery's band Cracker, to collaborate on the recordings and subsequent performances. 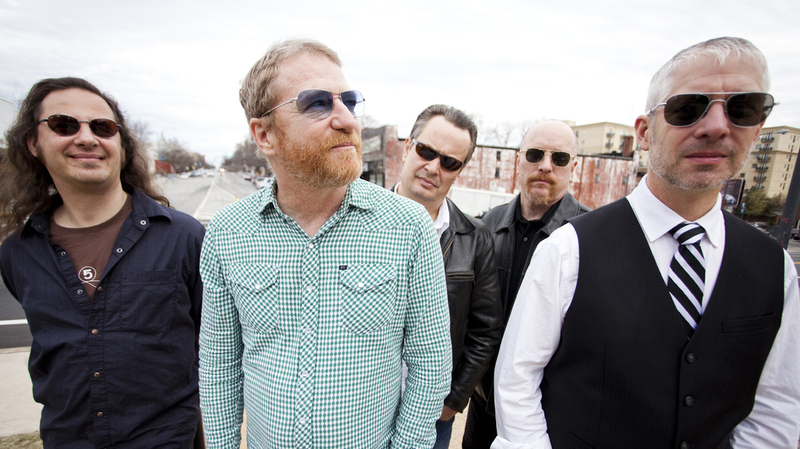 Here, Camper Van Beethoven brings its mix of psychedelia, country, ska and Mexican styles to World Café, and talks with host David Dye about its reunion.